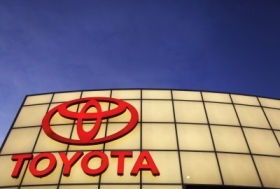 DETROIT -- The negative publicity surrounding the recall of 8.5 million Toyota cars and trucks around the world has knocked the brand from the top spot in a study that measures consumers’ perceptions of brand quality. Automotive Lease Guide, which sets leasing residual values for the auto industry, said Toyota plunged from No. 1 to No. 6 among mainstream brands in its semiannual Perceived Quality Study. The entire study is to be released March 22. On a scale of 1 to 100, Toyota’s perceived-quality score dropped to 67.6 in the guide company’s spring 2010 survey, down from 84 in fall 2009. A score of 100 is considered perfect. “It’s the biggest drop by any auto company since the start of the survey” in spring 2008, said Matt Traylen, chief economist at Automotive Lease Guide. Honda now holds the top spot, followed by Nissan, Ford trucks, Subaru and Volkswagen. The company would not release these brands’ scores. With a score of 81.5, Toyota’s upscale sibling, Lexus, dropped from first place last fall among luxury brands to third place behind first place Mercedes-Benz and No. 2 BMW. Last fall, Lexus had a score of 87. Traylen said perceived quality starts with actual quality and is influenced by marketing; price strategy, including incentives; and inventory supply. Opinions of friends and family and high-profile incidents reported in the press also affect a brand’s reputation for quality. Perceived quality is as important as or more important than actual quality because it reflects how much consumers are willing to pay for a new or used vehicle, Traylen said. Declines in Toyota’s perceived quality contributed to a 2 percent decline in the brand’s 2010 residual-value forecast. The report says retail demand for new Toyota vehicles has declined 5 to 7 percent, but wholesale demand has remained stable. “When you look at who is buying at auctions, and that’s the dealers, they still have a lot of confidence in Toyota,” he said. Traylen said he expects Toyota’s incentive spending to remain high through June as the company responds to declines in retail demand, rebuilds brand image and clears excess inventory. But should the incentives persist beyond that, used-vehicle values will decline, shaving another 5 percent from Toyota’s residual forecast.